I am Meowflash. I've come to Scratch wanting to make games, but, I've made more animations. Member since June 19th 2009. 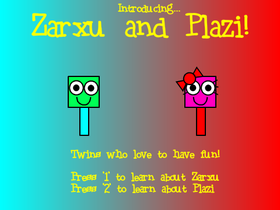 SDS - Introducing...Zarxu and Plazi! Follow This Studio If You Like Spaghetti! Follow this studio if you like Bacon!